I Wil Create this Service is Outstanding 25 Blog Comment Backlinks, 100% Manually Submit your Website on High Quality DA PA Blogs. My Service is the most Reliable and Powerful link Building Method. 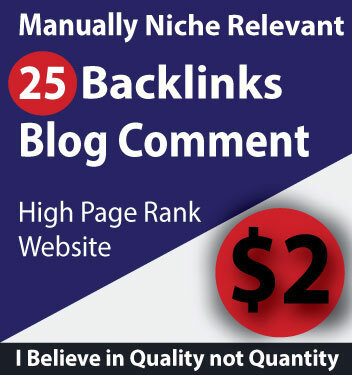 25 Blog Comments Niche Relevant Backlinks High DA PA Sites | 100% Manually is ranked 5 out of 5. Based on 2 user reviews.